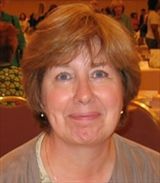 Margo Maguire is the author of twenty-one historical romance novels. Formerly a critical care nurse, she worked for many years in a large Detroit trauma center. Margo writes full time and loves to hear from readers. Keep up with news on Margo's latest books by signing up for her newsletter on her website, www.margomaguire.com, and looking her up on Facebook and Twitter.